I like to think that if I had put my mind to it more, that I could have been a singer. Occasionally when I add videos to my youtube channel of me singing Karaoke I get the odd comment that I have a lovely voice and I like to think that this means I'm better than average... but what it probably means is that someone somewhere has too much time on their hands and watches videos of me singing Karaoke! 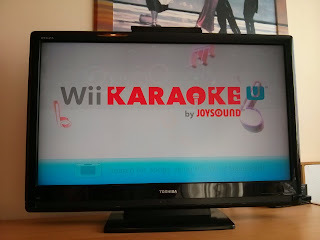 From my love of Karaoke though I knew that when we were given a code to be able to sing Karaoke on the Wii U, that it would be a brilliant Half Term Activity. I wasn't wrong. 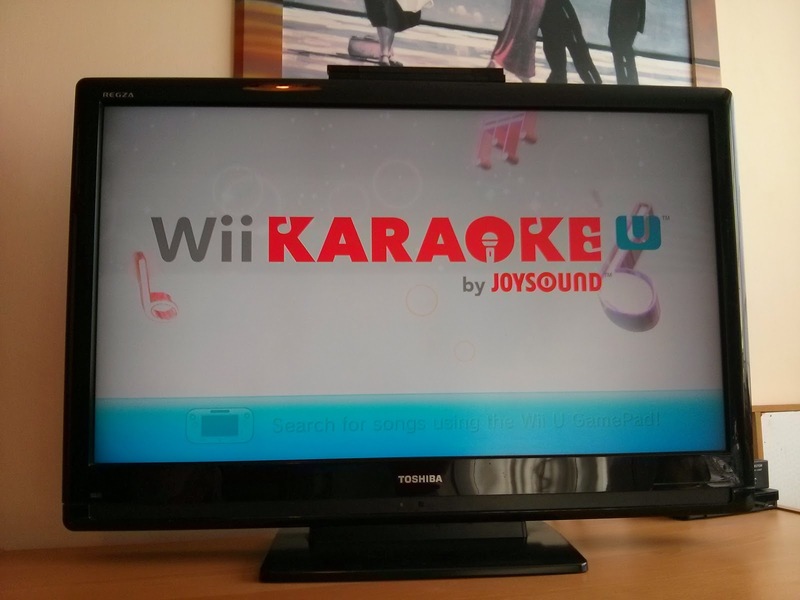 So far we've sung/played Karaoke on the Wii U every single day of the half term. I predicted that it would be a game that families can giggle over together and there has certainly been plenty of that! With our little Mii's (that we've all created to look like us), it's almost like we're the ones performing on a brilliant little stage instead of standing in our living room in front of the TV. If you follow me on Instagram (if you don't why not? And also have you seen that Top Ender has an account too?) then you might have seen when I got these fab looking packs of Limited Edition Pringles. I was very excited by the tubs, and not just because my blog is on them (it's only on my ones if you buy some in the supermarket you'll have to print out a picture of my blog and stick it to your tub if you want the same theme) but because of the flavours. Sweet cinnamon Pringles are perfect for Christmas, or breakfast, or possibly when I'm sitting on the sofa under a blanket trying to warm up after a nice long walk! The children and I sampled the pringles, one rainy evening. I gave them one of each and let them decide what they thought. Top Ender was rather taken with the Sweet Cinnamon Pringles, declaring them to taste "like that swirly cake you make" (that'll be Cinnamon Buns then) and Big Boy said he "Loved it!". The Mint Choc didn't go down so well, Top Ender could taste the mint and wasn't a fan (despite loving After Eights) and Big Boy described it as "Not very yummy". I thought it was odd, they were minty and chocolatey and for once I didn't mind the flavour mix (remember I only think chocolate should come in one flavour. Milk). I think that the Sweet Cinnamon Pringles will probably end up in our trolley over the next few weeks, I just hope that they will be for sale every Winter! I was sent two cans of Pringles. Whilst the Children are off School this week, we've been making an effort to sit together at some point during the day and watch a film together. As it's Halloween this week, we're watching Halloween themed films, some from my childhood, some from the last few years and because I know that sometimes it's hard to think about films that are suitable for the whole family I thought I'd create a list for a future reference! What other family suitable Halloween films have you got in your collection that I should add to my collection? 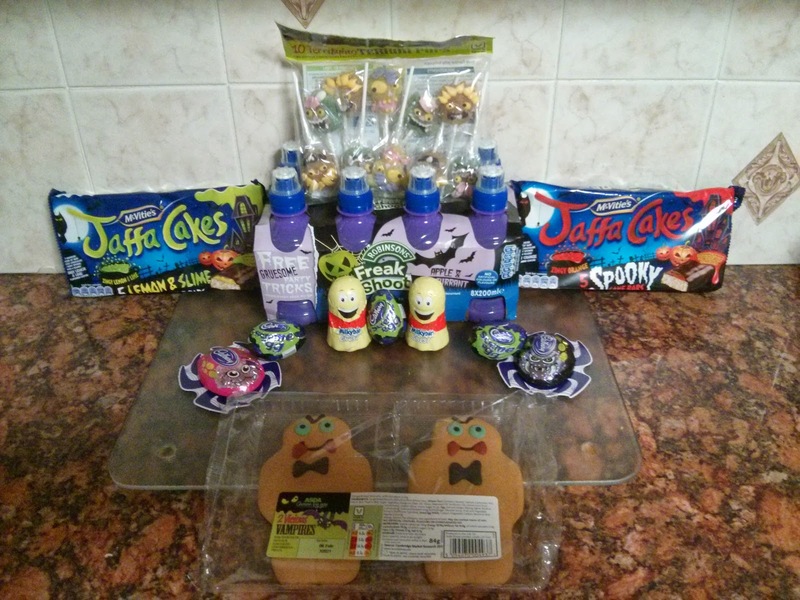 One of the great things about having Half term in the last week of October, is that the lunches that I make for Halloween don't have to be transported to School, so they can have lots of fiddly little details and they can also take longer than my normal five minutes to make them (honestly most of the fun lunches I make only take a few minutes). I have some fun lunches planned for this week, but I thought that I'd do a quick round up of the designs I've done in the past so that if you're looking to do something fun, I might hopefully inspire you. As you can see for most of the lunches, all that is needed are Shaped Cookie Cutters (or a steady hand), some stickers (for labels and eyes etc), some food colouring (either pens or find a new paint brush) and a little bit of creativity! If you'd like some tutorials on any of the lunches, just let me know and I'll post step by step instructions for you. I had planned nice warm meals for last week, ones that caused the kitchen (and therefore the house) to heat up and would also allow us to warm up from the inside out. I don't know if it was the same for you, but for us it was a very mild week and having so much warmth in the house and our bodies was not a good thing! 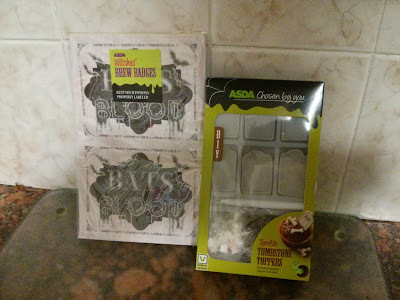 I'm making everything for dinner this week spooky in honour of Halloween this Thursday! When Top Ender went on a Brownie trip to Nando's she was given a letter which gave her a free meal at Nando's in the not too distant future. I had originally planned to take her and BB on my own one night when Daddy was still commuting home, but as we like our weekends to have a focal point we thought that a trip to Nando's tonight would be fun for the whole family. I decided that I wanted lamb today, so one roasted Zombie arm later, along with roasted potatoes, vegetables and some Yorkshire puddings and we have a creepy dinner. I'm sure a blood curdling pudding will be available for Tops and BB as it is Sunday. We didn't have it last week, so we're having it tonight instead! I'm going to add a few ghoulish faces and a little Halloween pudding of carved oranges. 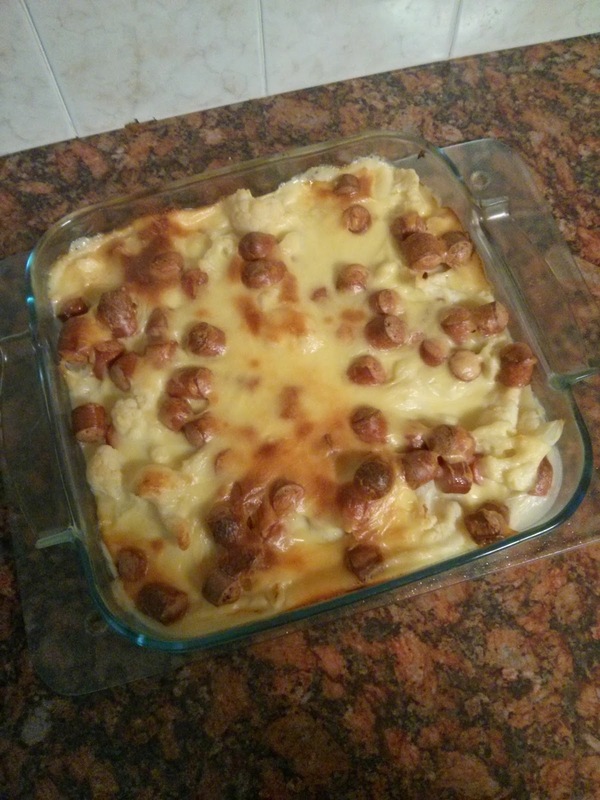 I've been wanting to make Potato Souffle's for a while, but I thought that a Ghost Souffle sounded much more fun. I'm going to serve it with some of Sunday's leftover lamb. We seem to be stockpiling pasta again, so I figured we'd better use it up! I'm not sure which I'm going to make and I did ask on Facebook and Twitter, but there wasn't a majority vote,so I'm going to decide when I go shopping! I think though that it's going to be a fun dinner, especially with a few trick or treaters turning up! This is just soup, with toasted sandwiches in the shape of men, simple but fun! So what are you doing for dinner this week? 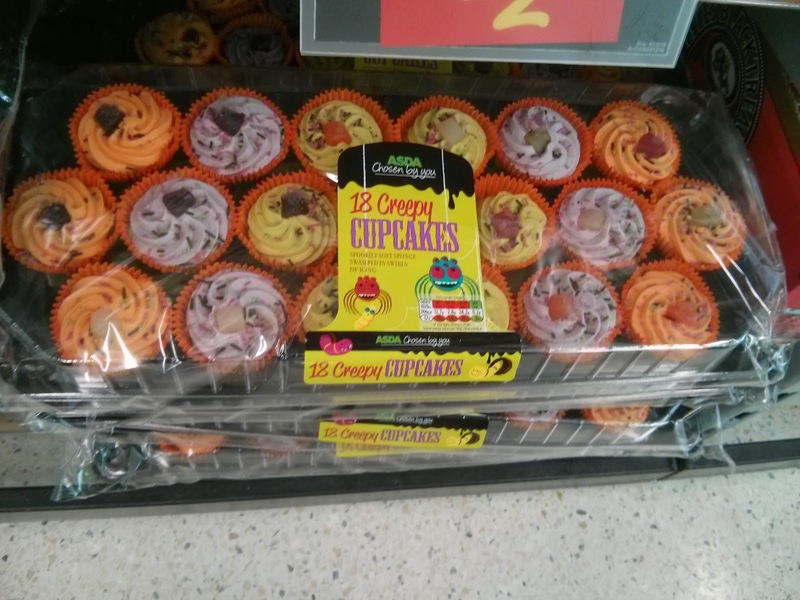 Are you planning to eat something special on Halloween? As you know, I cook. I cook everyday for my family (well sometimes not on Sundays) and sometimes I like to cook something for my family that takes very little effort, but still tastes delicious. 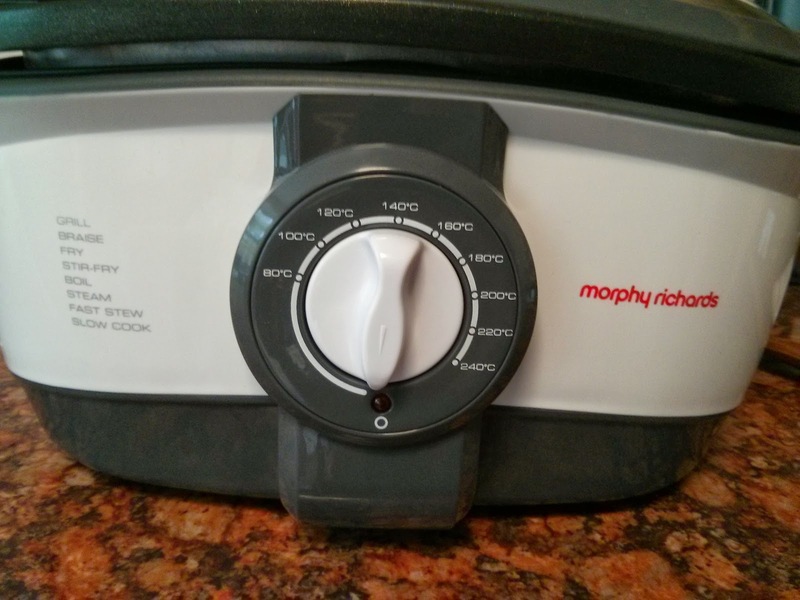 The guys and gals at Morphy Richards thought I'd like to try their new Intellichef Multicooker, as with it's multiple uses it's a great space saving kitchen gadget and as you can do everything in one pot, it saves on the dishes too. 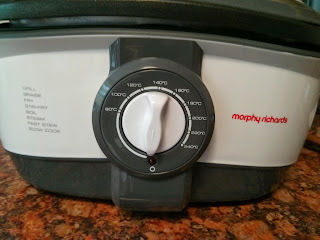 So, I read through the booklet that comes with the Multicooker and discovered a few recipes that were nice sounding but really I used it as a starting point for coming up with my own ideas of what to cook in the Multicooker. 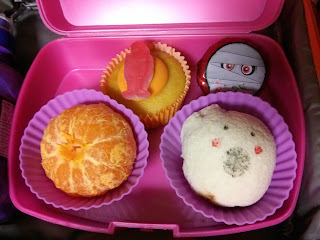 For lunch on Monday this week, I made the Children little Sandwich ball ghosts. A few questions were asked, over what they were and how they were made, so I thought I'd make a little blog post of how I made them. So, just in case you missed it this week, here is a picture of Top Ender's friendly little Sandwich Ball Ghost. They are really easy to make, deceptively simple and if you're wanting something quick to make to liven up a lunch, this is the sandwich for you! If you've ever made rice balls (I have and I luckily have Teflon hands), then you'll probably have the idea of what to do already but just in case, here is my little vine on what to do. Yes, it really is that simple. You take a slice of bread, cut off the crusts, add your filling, put it on some cling film, pull the bread into a bowl, use the cling film to tighten the bowl into a ball, firm it up and then decorate before serving. How would you decorate a sandwich ball? After I wake up the children, we sit and eat breakfast together. Sometimes I read to them, sometimes we listen to the Radio, or watch a cartoon or Youtube video together. After breakfast and the inevitable last minute rush to find a missing school shoe, coat or school bag we take a picture outside of the house to send to Daddy, because he doesn't see the house in daylight five days out of seven, and then start the walk to school. We talk about what is coming up that day, what is happening that evening, if we are going to let Top Ender walk home alone, if we have something important to do that day. We test each other on spellings and give simple math calculations for each other to work out. 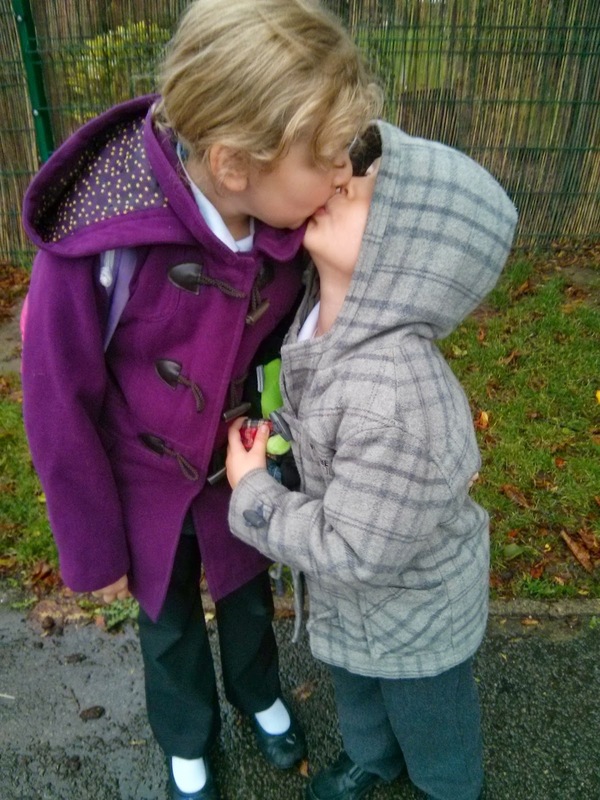 We say goodbye to Top Ender in the KS2 playground. She runs off to see her friends, to catch up on the news that she has missed in the last 17 hours (of which most of them have been asleep for at least ten of them) but she always makes sure that she hugs and kisses both Big Boy and I. It's a delight for me to see her laughing with her friends, sharing jokes that only they understand, or practising dance routines to songs they love. Big Boy finds ways to prolong the time I spend with him. He'll go with me to hand in his Diabetes bag to the School Office, wishing the staff a good morning and showing them which ever cuddly toy he has brought with him for an adventure that day. We walk back out and sit on one of the benches, having a hug and I reassure BB that I love him, that he's my best boy and that I'll see him when I'm back at lunchtime to do his injection. We walk to the door, where I hand over his book bag and lunch box and water bottle and he hands me his teddy. The last thing I give him is always a tissue, with which he wipes his eyes declaring tearfully that he loves me the most ever and a kind TA distracts him whilst I walk away. And then I come home, where I can see the smudges that my children have left on the doors and walls and I wonder if one day this new routine will just be a memory and I'll wish myself back to a time where I was loved the most ever, where my daughter wasn't too old that she'd kiss me and her brother in front of her friends and I wish that we could freeze this perfect moment in time. I know that Halloween hasn't yet happened, but already we're thinking of Christmas and how we can get more into the Christmas mood. 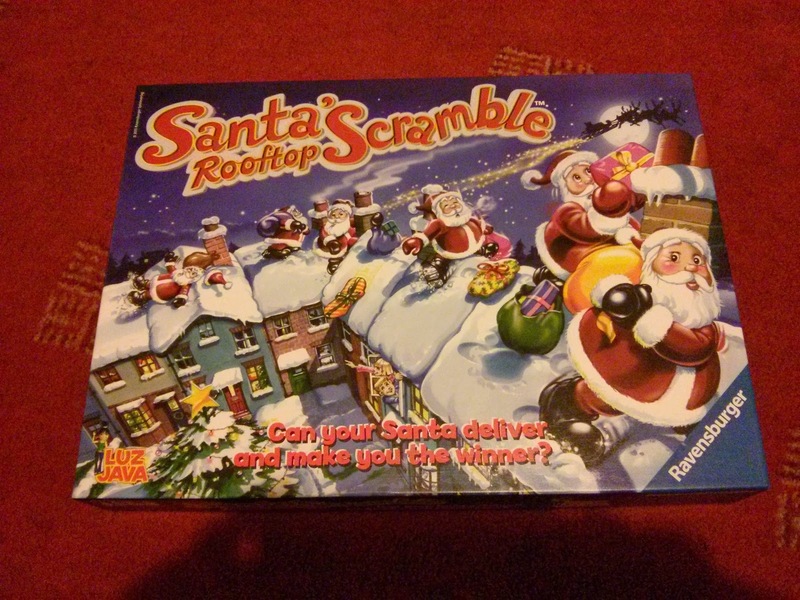 Luckily for us Ravensburger sent us Santa's Rooftop Scramble which has had us in fits of giggles, singing Christmas tunes and thinking about our Christmas lists. Big Boy was the one that was most interested in the board game, begging us to open the game from the second it was delivered. 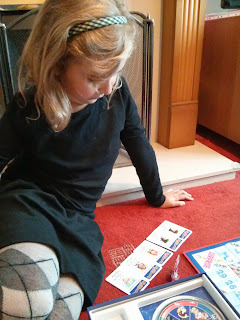 It took us a couple of hours to get our chores done, but when we did sit down to play I was a little frightened by the amount of rules and instructions the game came with. 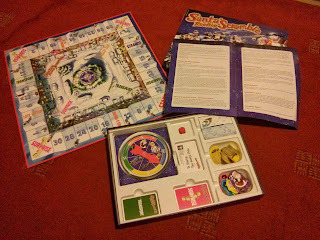 Luckily Daddy read through them and discovered that the game was surprisingly simple, it just came with rather detailed instructions. 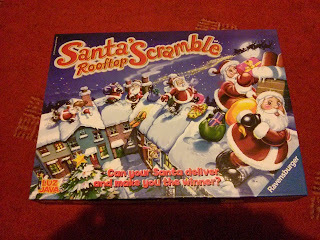 The general idea of the game is that you are Santa and in charge of delivering some gifts to children. First of all you have to spin a spinner to collect all the gifts you need, this can take multiple turns, or as Big Boy found on his first go, it can take just one spin of the spinner if you land on the Father Christmas! 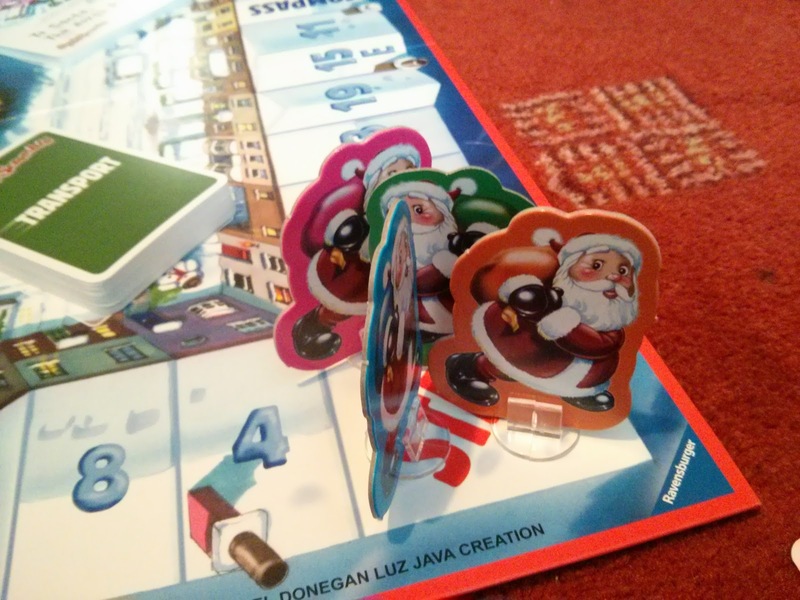 Once your bag is full of the gifts (metaphorically speaking, there is no bag for the gifts before you all start complaining) you must move around the board to deliver them. When you land on the right house (the squares are numbered) you can deliver the gift down the chimney. There are plenty of twists and turns in the game, you might have to pick up an additional card to add to your deliveries or you might find a card that lets you deliver a gift straight away without having to roll the dice to get to the right square, you might be moved to the other side of the board or you might find that you are allowed to give one of your deliveries to an opponent... not that I did that to Top Ender when I thought she was about to win! We have played the game almost non-stop. Big Boy sets it all up and demands that everyone plays and because it is fun we all agree. The game is aimed at children aged 5+ and is available to buy now. We were sent the game to review. When Top Ender was sent Barbie and Her Sisters in A Pony Tale to review, the usual noise from Big Boy was heard. A sort of groan that told Top Ender and I that if Big Boy was to watch this film, we'd all suffer later. So Top Ender decided to watch the film in her room. Which, was okay but did mean that I didn't get to watch the film and so this review is based on what Top Ender has told me. Barbie and her sisters are off to visit with their aunt who runs a Horse academy in the Swiss Alps for a month. Whilst they are there Barbie is going to enter an equestrian competition, which Barbie wants to win the Steeplechase in, but first she has to find the right horse for her. Barbie finds that she can't choose a horse from the ones at the stables, but when she is out riding she sees a magic horse, or rather one that shouldn't exist as everyone says they don't exist and are just a myth from a story from long ago. Barbie however, finds that these horses/ponies are real and after helping one that she names Majesty she is allowed to ride her. Now, I'm not going to spoil the rest of the plot because it's one of those plots that you can almost guess from the first ten minutes (and you'll want to watch to find out if you're correct) but it is an easy to watch film for children that will keep their attention for the full movie and might even have them asking for riding lessons if it sparks their imagination! Now, I'd better go and see if I can arrange some riding lessons for Top Ender. We had an appointment this last week with Big Boy's Diabetic Care Team and I managed to get a few minutes with the Dietician too. 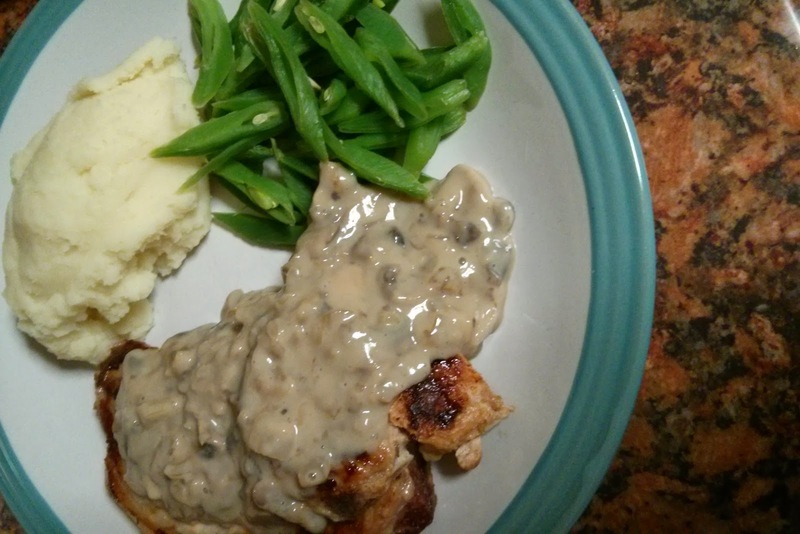 I explained that I had been experimenting with low carb meals for Big Boy and were basically of the understanding now that it really doesn't work and can I have some advice please. Well, as expected the answer is just to eat as normal, eat a balanced diet and a little controversial (IMHO) that BB doesn't need snacks if he eats three meals a day... not sure how that one will go down! Anyway here is this weeks meal plan. I was joking about having a Chinese Takeaway with Daddy after smacking myself in the face with the car door, somehow this turned into having Chinese tonight. I love having a proper Chinese every once in a while where I get to use chopsticks and laugh at my really bad fortune cookie sayings. Let's just say I'm normally going to have a brilliant Thursday, although I'm never sure why. Last week Daddy made some noise about not enjoying his roast as much as normal and we figured this was because we've eaten it so often (as in every week) so we decided to have Shepherd's Pie this week. With pumpkins being on offer almost everywhere, I figure that this week we should make use of them. I found an easy Pumpkin Risotto recipe on the Good Food website and it lets me give my one useful Pumpkin tip; If you're buying a pumpkin for flavour go for the smaller ones. Yes, you might think that the larger ones offer better value BUT the smaller ones have better taste. I can't really remember why, but it was a pumpkin grower that told me! The great thing about Daddy not getting home until late is that when he walks in the door he is so hungry that he'll eat anything so I get to make something like Fish Pie which he normally hates and he eats it without complaint! I'm adding in some Prawns so I expect a few complaints from BB. Today is a Top Secret day. Ha, seeing that has piqued your interest right? Well, because of it I need a nice and easy dinner that only takes a few minutes to prepare. So I'm going for a nice warming soup and some home made bread. I've been hankering for Princess Pea Pie for a few weeks now, and I've been trying to persuade the children that they want it too. I don't think that they do, but I'm making it and serving it with Gammon. Last week we had dinner with my MIL for my SIL's birthday. We had some Nachos on the table, and BB and Tops loved them so I thought Nachos with salsa and melty drippy cheese would be a good Friday night dinner. I might serve it with something else, but I won't know what until I've been shopping. I love an excuse to dress up or to be silly for a while, so when Asda asked if I'd like to pop down to my local Asda and take a look at the Halloween items they had in store (and they'd give me a giftcard so I could buy what I liked), they didn't have to ask me twice. I took the children down to the store, and despite managing to hit myself in the face with the car door (it's so sore!) we had a great time looking through the aisles full of Halloween related items. The children had a good look through the costumes, there wasn't anything that they particularly wanted and despite us having a good laugh over the various clown masks (some were quite scary!) we spent more time looking at the decorations, various food treats and other things. I decided that I didn't need a brain jelly mould (if I could have made a cake in it then I would have brought it) and the skull mugs and wine glasses were see through, so if they had been white (you know like bones) then I probably would have brought those too. In the end I did buy a brilliant sign (well I think it's fab) that will live on my outside gate for Halloween, but is currently on the door under my stairs! 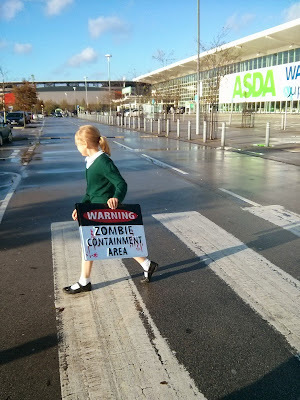 The picture I love most of the sign though is this one of Top Ender walking away from Asda carrying it. I'm not sure why, it just appeals to me. Big Boy was the main instigator for everything else that ended up in my basket, as you can probably tell looking at this picture. You know what though? I actually didn't mind. No, not because I wasn't paying for it, but because it was fun! Big Boy thought everything was hilarious, from chocolate ghosts and spiders to Gingerbread Vampires. The other great thing of course is that I can add these easily to the Halloween lunches and meals I have planned for the next week or so. The other two things I brought were planned for being added to the School lunches next week. The brew badges will go on various drinks (much easier than the ones I normally make!) 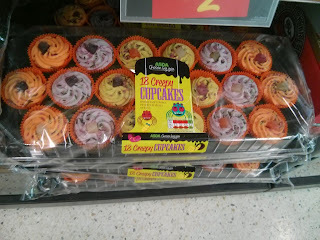 and the tombstone cake toppers will spook up the lunches much more easily than I ever could. Anyhoo, I'm supposed to be cooking dinner. What are you up to this Halloween? I received a giftcard to buy everything above. 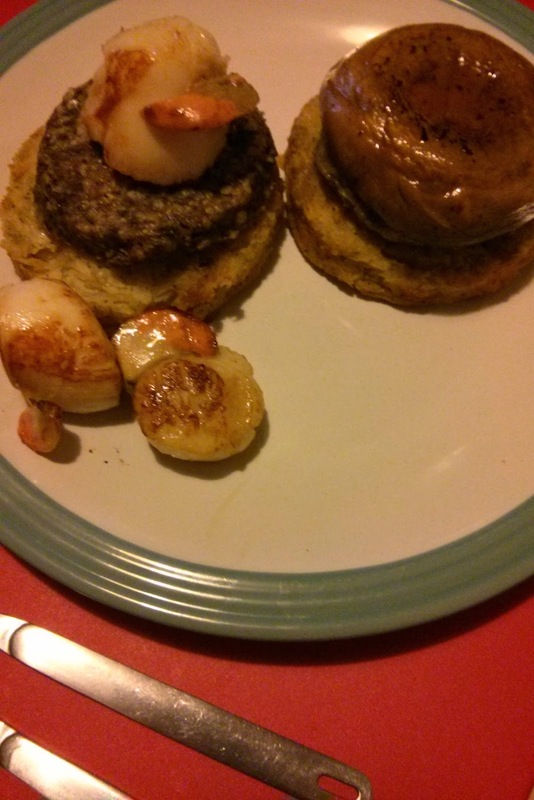 It's been a while since Daddy and I purposely set out to have a date night and when some Haggis was delivered, I thought I'd take the opportunity to create a special romantic meal for two. Daddy has never had Haggis before and I only remember eating it a few times as a child and a couple of times as an adult when I've been at fancy restaurants. 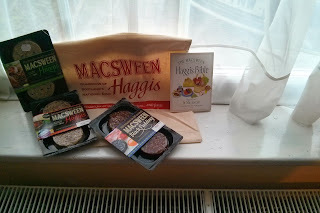 With the Macsween Haggis that I was sent I didn't have to worry about cooking it in a fancy way, as all you have to do is put the packet in the microwave for 60 seconds, and that is really simple and the kind of cooking I can handle! I had a lot of ideas of how to serve the Haggis, but decided to stack the Haggis on Potato Rosti's and top the meat Haggis with Scallops and the Vegetarian Rosti's with Grilled Mushrooms. I knew that Daddy would like this, and it was using the mushrooms that we were supposed to have for dinner as burgers, so I wasn't wasting food. It was delicious. Honestly, it was. 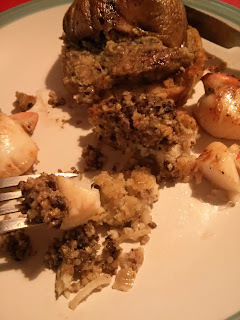 I know that most people think "Eurgh Haggis", but it was a seriously delicious meal and even though we ate it whilst watching The Great British Bake Off instead of over candle light, it was quite romantic too. Daddy loved the Vegetarian Haggis, more than the traditional version which he felt reminded him too much of liver but I loved them both. The Vegetarian Haggis, is certainly lighter in taste and less dense, but neither of them are overpowering in taste. I also loved that they were so easy to cook, that they were in slices and that they looked nice. I mean, don't get me wrong, I know what goes into Haggis and it's pretty hard to make that look pretty, but in a nice little circle slice as the Macsween Haggis is, it looks "normal". If you haven't tried Haggis before, then try it now. Go to your local Supermarket (The packs are available to buy nationwide in Tesco, Asda, Waitrose, Sainsburys and Morrisons and have an RRP of £1.49), pick up a pack of Macsween Haggis and decide what you're going to have with it for dinner. I was sent two packs of Macsween's Haggis and a pack of Black Pudding, which I'm going to have for Breakfast all by myself. Big Boy decided that he'd like Pancakes for breakfast. 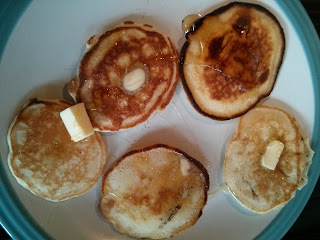 Not any old pancakes though, he wanted the pancakes that we had for breakfast when we were in DisneyLand. So I mixed up a batter and calculated the carbs and Top Ender, Big Boy and I sat together eating pancakes for breakfast. It was a lovely way to start the morning and one which I think we'll have again over the next few Autumn and Winter months, especially if the smiles I get from the children as I serve them are still forthcoming! I've got a lot going on for the family this week, but we're still trying to stick with the low carbs and for the most part it's not working. This week at least we'll be seeing BB's Diabetes care team and hopefully I can grab some time with the Dietician and speak to her! I may have forgotten to make this during the week and just had Hot Dogs with the Children, so we will 100% have it tonight. I'm not sure that I'm up for a sausage roast, but it's what we do on Sundays! Top Ender is like my Mum (and I guess me and Daddy to a certain extent) in that she LOVES Salmon. Big Boy will eat it, but he seems to be of the persuasion that if he can get away without eating it then that is better. To combat this I thought that for the children I'd make a Salmon and Pea Frittata for their evening meal as BB does love egg! I'll make Daddy a Salmon and Rice dish (with peas!). I was looking in the freezer to see what we had, when I found some Pork Loins that I brought at the start of the month. I decided that I wanted to do a Herb Crust on them, but it isn't something I've done before so it's going to be a learning experience! I was going to do curry, as the children were being unhelpful, but I figured that if I did that then I was just being mean. With a couple of low carb wraps, I'm pretty sure the children will be happy with beef fajitas for dinner. that I'd make a Chicken Casserole. The good thing about this, is that I can leave it in the oven after serving the Children so that Daddy and I can eat together when he gets in from work. We've decided to go with Beef Stir Fry for dinner tonight, as we weren't sure what we should have and I managed to get some good organic beef on offer. One of the things that the Children and I love to do now that the nights are drawing in, is to watch a movie together, all cuddle together on the sofa, and so when we were asked if we'd like to see the new Fantastic 4orce (Force) Movie we said Yes please! The film is about four children who have been purposely picked to travel through time and the fictional worlds of Jules Verne on a mission to save the world. My two loved the film, it's given Tops an introduction to the worlds of Jules Verne and she has started reading some of his works (which she is enjoying) and as you can see from the trailer below there are a few fart jokes that has kept Big Boy amused. There are a few scenes of mild peril, but overall the film which is out on the 14th October and with a PG rating perfect for family viewing! We were sent a copy of the DVD to review. It's no secret that I'm overweight and that I'm trying to do a lot to lose weight. I regularly work out, I follow a restricted calorie diet and I try to fidget as much as possible as I read that it burns a lot of calories. The girls at Zaggora asked if I'd like to try their new Hot Pants. I had tried a set before and I wasn't sure if I had lost weight because of wearing the Hot Pants, or just because I was exercising in general. The idea of the pants is that there is a multi-layer fabric which harnesses the body's natural heat during exercise to help burn more calories. I've been wearing them during exercise and well I've been wearing them quite a lot under my clothes. I've noticed that I have lost weight whilst wearing them, again I can't say that it is just down to the Hot Pants or if it is just that I've been exercising BUT I can confirm that I'm losing weight at a faster rate now than I had been. The problem with these longer Hot Pants that I have (compared to the older ones I had) is that they really make me hot. On a walk at the weekend, I found that I was so hot and bothered by them that when I'd finished my walk instead of keeping them on under my trousers all day like I had planned, I had to remove them. The other problem is that washing and drying them in the Autumn, takes longer than in the summer and so if I wash them in the evening and put them out to dry before bed they aren't always a dry as I'd like by the time I want them the next morning. I'm going to continue wearing the Hot Pants for several reasons. 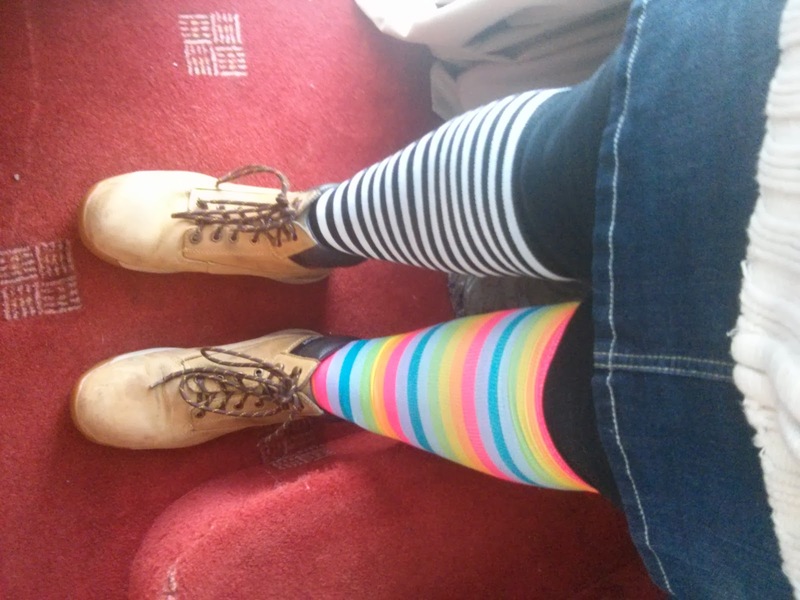 I do believe that they are helping, I'm saving money on heating as I don't need to turn the heating on, they are great to wear under a skirt or dress as a way of keeping my spare tyre (or seven) sucked in and I've kind of got used to wearing them now... Anyway for more on these head over to Pippa World, where I'm sure I'll be talking about them over the next few weeks/months. I received a pair of Hot Pants to review. I apologise that they look a bit screwed up in the pictures, but they are just about to be washed and I had to grab a couple of pictures! You know a few weeks back I got to review Cadbury's Pebbles? 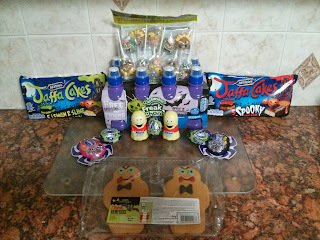 Well, as well as a couple of bags of pebbles we were also given a family ticket to visit Cadbury's World and this past weekend was the first chance that the four of us had to visit the famous factory together. No, seriously despite having looked at a map, having a map in the car AND having a the satnav on we got lost. This is why. See that brown Cadbury World tourist attraction sign thing to the right of the picture? 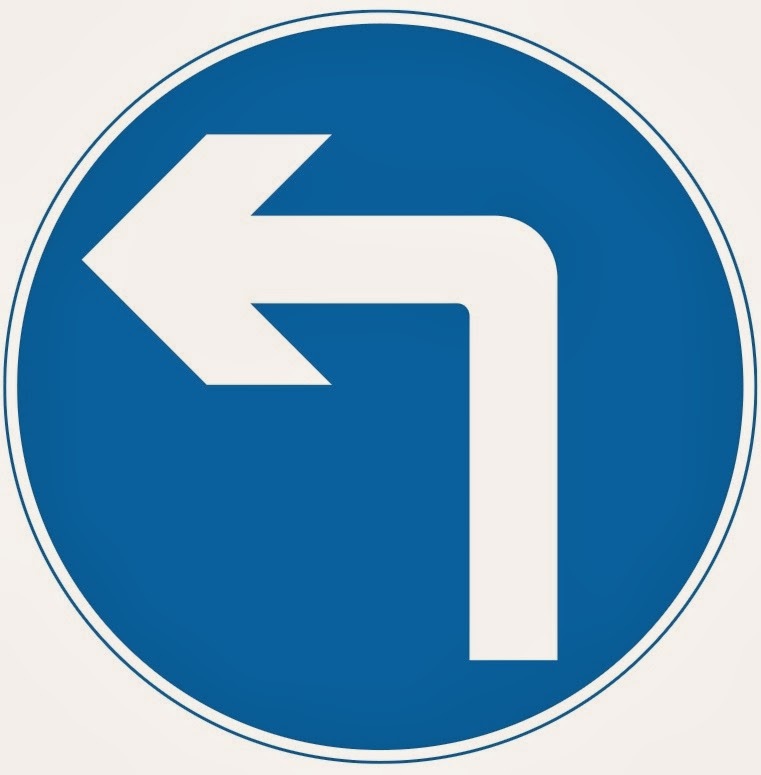 See how it points down this road to the left here? 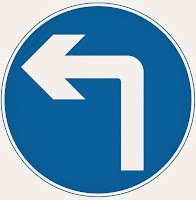 Yeah, what that actually means is carry on a few more meters and then turn left. Daddy and I thought that the sign should have looked like this, but you know in brown. Apparently Daddy and I are wrong. I had called to book our time slot a couple of weeks before, and had arranged to go in at 12:40, that way, we'd have had lunch and if the memories Daddy and I had of Cadbury's World from back in the early 90's was right we wouldn't mind the tease of getting a couple of unwrapped roses sweets whilst smelling and looking at hundreds of other chocolates on a conveyor belt being packaged and boxed and sent off to various shops around the country. After I had queued to get my voucher exchanged for a ticket and we then queued as a family to start the tour. It was fairly busy, but that was probably thanks to the Brownies, Scouts and Rainbows wandering around and if they hadn't of been there it might have been less busy... but probably not. Before we even went in the door, behind which the tour started, a lovely young lady dressed in Cadbury's signature Purple, handed me four Wispas and four Crunchies. They were full sized bars and so quickly stashed in my handbag and we went on our way into the tour. Now I mentioned that Daddy and I had both been to Cadbury's World in the past, we've worked out that we probably both went (separately) around 1991, which was the year the attraction opened and so we thought we knew what was going to go on. There was a lady who let us smell her box of cocoa beans and as I don't really want to give away anything (and to keep this blog post sort of short) we walked through some "history" and sat through a couple of videos of "history" before getting on with what my children would consider the interesting part of seeing proper chocolate being made. We did enjoy ourselves though. 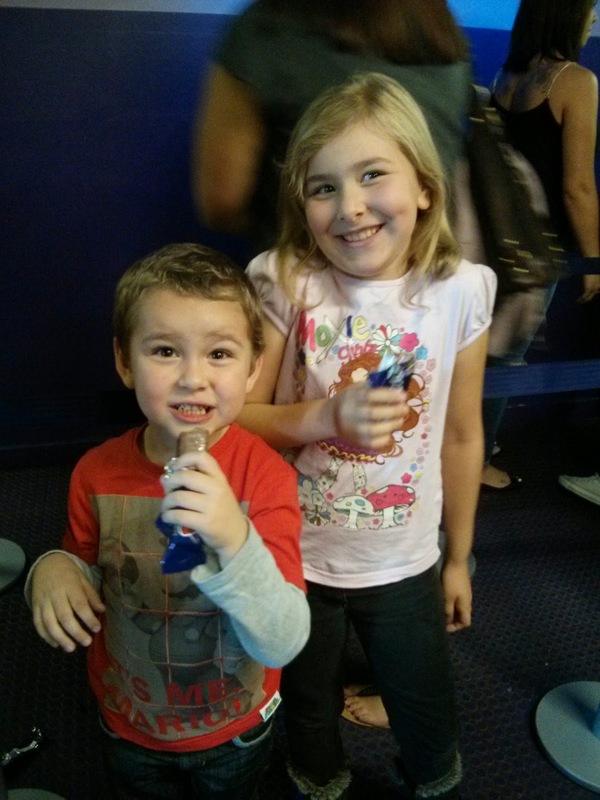 We had our picture taken, we went on a ride (where someone had been smoking something to come up with I'm pretty sure) and we queued patiently to get to various bits and pieces, like writing your name in chocolate (harder than you think it make it look pretty) because if there is one thing as a family we can do it's queue. We did go outside, where the children played in a playground area, before going in the Cadbury's Essence tour, which nearly every worked inside the main tour had told us we had to go on. Again it was a video that led to another video and from what I understood of it told us that the story we'd heard inside the main building about how Dairy Milk came to be was wrong. The part of the tour where you can create your own creation of chocolate, was just the same as something we've done at home (but not as good) where you get given some warm melting chocolate and one choice from a few different sweets gets mixed in. At this point, we were so over chocolate that the children were begging me to take them back to the car to have the chicken portions that were leftover from lunch along with some vegetable sticks. If I ruled the world, (I know it came as a surprise to me that I didn't too) then I would have made the tour a little more child friendly, and just a little more fun. 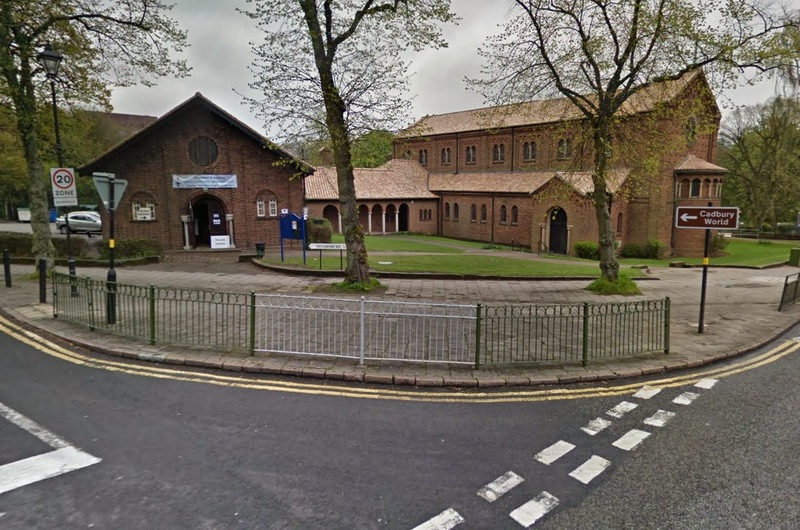 We won't be going back for a few years (if at all to be honest), but it is something which I think if you are in the area you should arrange a visit to, just so you can say you've been. We were given a family ticket (two adults and two children) to visit the attraction. I know, it's an odd question right? A few weeks ago was National Eye Health Week (started 16th September) and it's something that I'm paying more attention to now than normal. Why? Well, there a few things in life that if I lost I'd be a different person and my eyesight is one of those things and after the last few weeks that we've had as a family, trust me when I say it's important to pay attention to eye health. Do you remember when Big Boy had a Corneal Abrasion? We were lucky, that it healed and his Eyesight was fine, but thinking back on it it shows me how lucky we all are to have our eyesight. 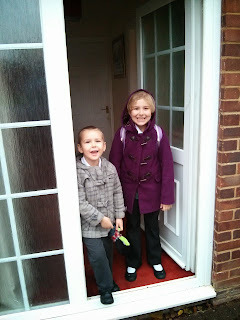 Boots, as well as offering half price eye checks, challenged me to let the children loose with a camera on the School run. I shan't be showing you the video that they took, as it mostly features my right breast as Big Boy was determined that I should feature in the video... however there were a few pictures taken of different things that made me realise that even now Big Boy and Top Ender are taking their eyesight for granted. Of course, there is no reason at five and nine that they shouldn't. I don't want to worry them with stories of what could happen if you don't take care of your eyes (simple things like eating a varied diet are a great way to care for your eyes), or protect your eyes (like wear sunglasses) or get your eyes checked (Did I mention Boots are offering half price eye checks?! ), but at the same time I do want them to realise how lucky they are. I actually hate what I'm about to say, so if it doesn't make sense it's because I didn't read through it more than once okay? 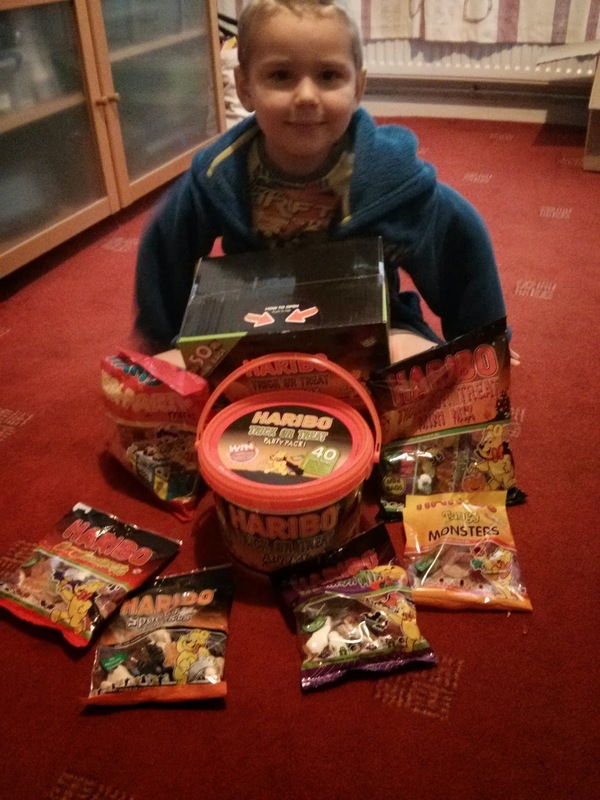 Big Boy with Type 1 Diabetes is going to have to have his eyesight checked frequently. 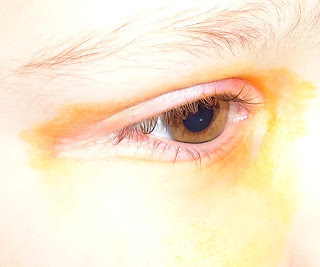 There are a lot of conditions which people with diabetes can develop, and so whilst you and I can go two years without having our eyes checked, he'll go every year. I already take my Mum to her appointments (she's a Type 1 Diabetic too), so I know the "bad" side and I'd implore you all to make sure you keep your eyes healthy, by eating a healthy balance diet, wearing sunglasses and please go and get them checked! I got free stuff from Boots to talk about this, but even if I hadn't I would have because it's important you know? Top Ender's homework, was to do her family tree. The homework said that she should go back as far as she could and see if any stories about family members existed that were exciting or interesting. Unlike her best friend, Top's family tree doesn't link up to anyone historically famous or featured in wikipedia, or someone who invented a sport, or even the basis of a film (Seriously this is all in one family tree). We sorted out a few generations of the family tree for Top Ender to print out (It's rather hard for her to do any research into the family tree as records get a bit sketchy as far back as we've managed to get) and it made me think. Surely I'm not the only person who reads this blog that does Family History or Genealogy? So come on, tell me the stories about your family. PS. That picture is from Boo and Boy and they kindly gave me permission to use it in this blog post. If you're after a print, or are shopping for Christmas or Hanukkah and Kwanzaa or even Christmahanakwanzika then go look as they have tonnes of stuff to buy that is really lovely. The menus this week are still following the low carb diet that we're trying out. BB is still getting complex carbs earlier in the day, but we're finding that he's maintaining a better blood sugar over night, with this diet. I really fancied Pork Chops, so decided to make a simple sauce with the Total Greek Yoghurt, some chives, some mushrooms and whatever else I already have in the cupboard. The favourite way in this house to have pork chops is to have apple sauce and cheese, so I'm hoping that this will knock it off the top the top spot! We didn't get our Salmon last week, there was a little issue with dates and this week I've decided I'm going to make Salmon Chowder. Please nobody tell Daddy that the Chowder I'm making is going to have sweetcorn in it! After we had the Chickpea Burgers last week, I really wanted Mushroom Burgers so thought I'd do them today. I'm doing them with a little garlic as I felt that was what the chickepea burgers was missing. Daddy requested this last week and so we decided to go with it today. Well actually, we were supposed to have it Saturday but we don't go shopping until after we've eaten lunch so it got bumped to today. This was so great last week, that the children asked for it again. 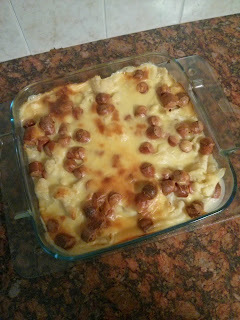 I'll blog the recipe because whilst it is surprisingly simple, there are a few little touches I add that make it superb! I'm going to do some nice ones for the children following the same recipe I did with Gordon Ramsay and some for Daddy and I a bit later in the evening too. Watch out this week for a give away relating to this recipe too. Last year when I started my weight loss journey (it's a lot harder to lose now, but thanks for asking) the fitness bug also got Daddy and spending the vouchers I had won at The MAD blog awards on a bike for him seemed the logical thing to do... the problem was competition soon broke out over who was getting fitter fastest and so one sunny afternoon leaving my Mum in charge of the children Daddy and I went for a bike ride together. To cut a long story short, he was fitter but I LOVED cycling out in the open, especially because Milton Keynes has a myriad of cycle paths so I would be safe whilst cycling. Top Ender learnt to ride a bike without stabilisers that summer, and she loved cycling too. Memories of my childhood came back, where my parents would take my sister and I and our four bikes to various villages around the UK and we'd cycle a route from a Readers Digest book that someone had brought my parents. Daddy and I knew that we could do this, we could cycle as a family, but there was a problem. Big Boy wasn't able to cycle for long distances with us. It would be no problem, we thought, we could strap BB into our cycle trailer and he could happily sit in the trailer being pulled along. It was BB who first voiced objections to this. He didn't want to be stuck in a trailer, he wanted to be out on a bike cycling with us, but we knew that he wouldn't be able to keep up and he'd need extra help. I had a good scout around the internet for a suggestion or two and kept seeing comments about the Burly Piccolo Trailer Bike, which allowed children to peddle when they want but to coast along behind a parent when they needed a bit of a rest. The only problem for me was the cost. At £349.99 it was just too much for us, even with the promise of increased family health and fitness. And so I came up with a plan, if I applied to the Family Welbeing Index that Actimel for funding for a Burly Piccolo Trailer Bike, I might be lucky. I might get to buy the trailer bike and then we could go out as a family and exercise together and generally just have fun. Yup. That's right, we got a Burly Piccolo. I'll post more when we actually open the box and get it attached to either mine or Daddy's bike, but if it keeps raining it might not be for a few days! I had a Furby when they were popular the first time round. Top Ender had one when they were popular a few years ago and now? Now, we have the revamped Furby Boom thanks to the Toys at Asda Direct team who sent us one to review. When it arrived, the children spent ages agonising over what to call it. 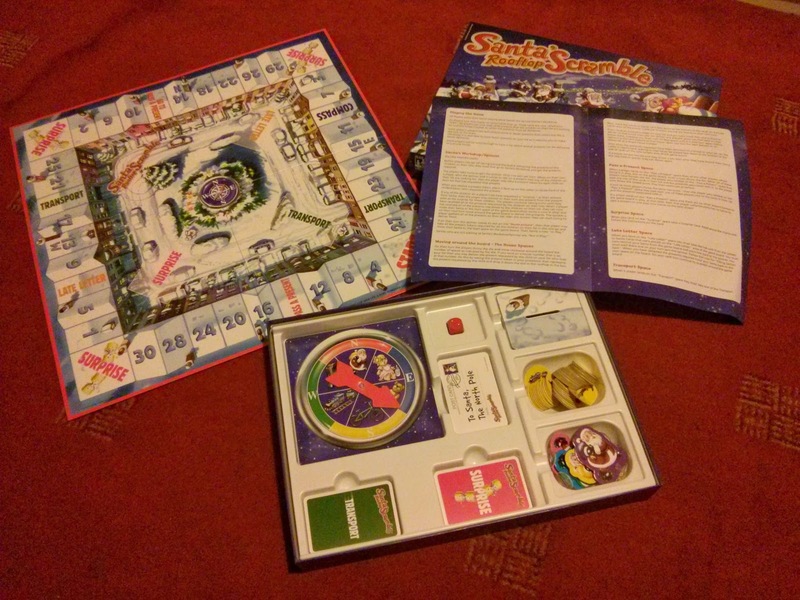 I spent what felt like hours agonising over getting the darn thing open to put it's batteries in. It called for a Phillips Head Screwdriver, but the three that I had easy access to were all too big (circumference wise) and so after thinking for a moment or two I went out to the car to find the car toolbox. Every family has a car toolbox right? Eventually I managed to get the battery compartment opened, I put in the 4 AA batteries and closed the Furby Boom's bottom, and hoped that when it eventually ran out of battery that Daddy would be the one that had to change the batteries. It was by this point that the children had realised they could download an app on to their tablets to connect to the new Furby Boom and were busy downloading and installing it, having a race to see who'd be the first to connect up with the Furby. Although Top Ender was quicker, the Furby didn't seem to be able to "hear" her Tablet so we let Big Boy have a go and he connected within seconds. It was not long before we had to go to School, so the children were quite happy with helping hatch a digital egg and naming the new digital Furby something which set them off in squeals of laughter, but more about that later. When I got back from dropping the children off at School I tried to connect to the Furby with my tablet and was able to eventually connect to the Furby, but it took me a few attempts. Later that evening Daddy fiddled around with Top's tablet (mainly cleaning it) and eventually got it to connect, but it seems to only like BB's tablet (which is identical to Top Ender's!). The Children have been taking it in turns with playing with the Tablet, and it was only after Big Boy asked me to read out a few words when he was naming a new hatched digital Furby that I realised why they had been squealing with laughter on the first morning. Some of the name combinations when translated from Furbish to English were a little... childish. Luckily after a quick chat about why some words were inappropriate to use in combination together my two stopped calling each other and Daddy and I Poopy Pants. Now, because I know that you are all going to be buying one of the Furby's for Christmas, here is a little of what you can expect your children to be doing Christmas day. Oh and, just so you know the story I told the other day on Facebook? It was about a soft toy one that we brought for BB, not this electronic Furby Boom! We were sent a Furby to review. He hasn't been put on a high shelf... yet.